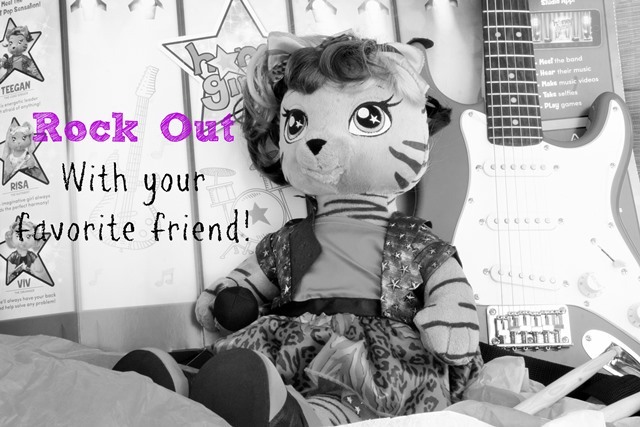 Empowering Kids With Build-A-Bear and the Honey Girls! Plus Win $100 Gift Card! I participated on this campaign on behalf of Mom It Forward for Build-A-Bear. I have been compensated for this review, but like always all my crazy ideas and wording is mine and I only review products I really love! Every little girl is so excited when their talents and strengths start shining through. Nothing brings so much self-confidence as discovering something that you are truly gifted at. It doesn’t matter what that talent is, and for little girls it can be anything from doing great cartwheels, playing an instrument—to being a great friend. My daughter recently started playing the guitar and it is now something that brings her so much joy. 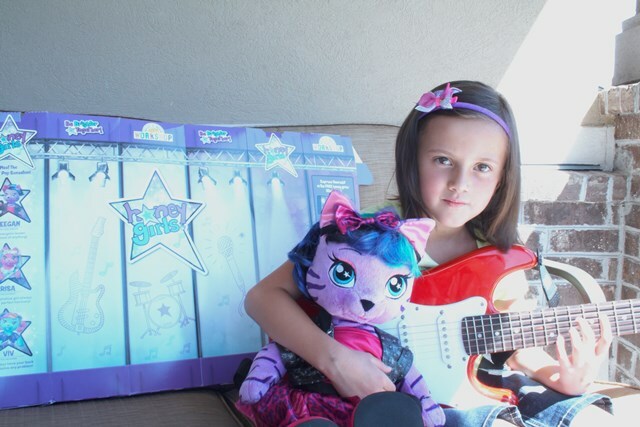 She now wants to start her own little band with her friends. Girls who learn when they are young—to be fearless, strong, and happy with the talents they have been given eventually grow up to be amazing confident women. I know that’s what I want for my own daughter and I am always on the lookout for anything that will reinforce those positive traits. 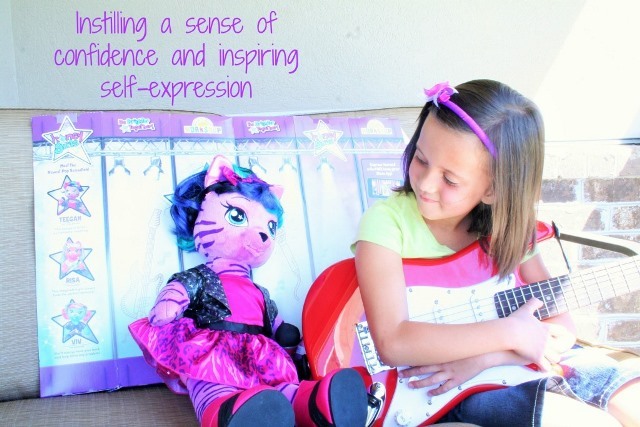 I am so excited that Build-A-Bear has a new product line that inspires kids to be empowered! I am so excited to introduce you to the Honey Girls! The Honey Girls are made up of three friends; Teegan, Risa and Viv who have formed their own band after meeting in school. Teegan is the fearless and bold lead singer. Risa is the guitarist, and she is all about music and being creative. Lastly, Viv is the drummer, who’s not only a great friend but also a talented inventor. The honey girls story goes far beyond just friends in a band together—they embrace each other’s talents and leverage each other’s strengths to be brighter together. These are super cute animals that get my stamp of approval as role models for my daughter. :: The stars, each a different color, include the traits creative, confident, talented, smart, fearless and strong. :: The stars allow children to further personalize their Honey Girls, making the connection with their new friend even more special. 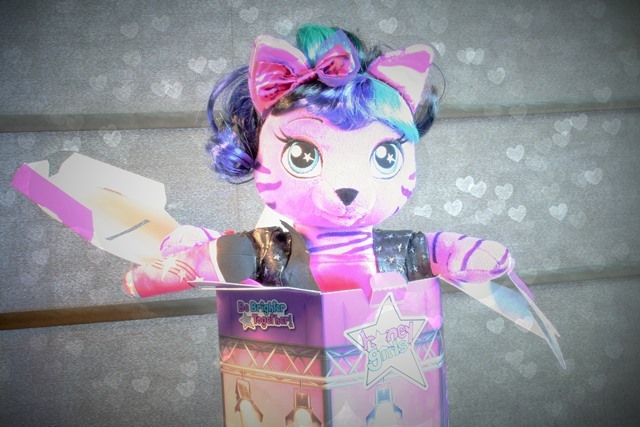 :: Each Honey Girls character comes with one plush star to stuff inside during Build-A-Bear’s signature heart ceremony. However, guests can purchase as many additional stars as they want. The Honey Girls were designed to encourage children to find their passions and overcome obstacles by instilling a sense of confidence and inspiring self-expression. As soon as my daughter opened the box (which converts to a stage, how cute is that?!) with her Honey Girl in it she immediately wanted to get her guitar out and jam along with Teegan. Right, then I knew this product was already having a positive impact on her. We need more kid’s products that will teach and empower our kids to be able to accomplish anything, and you can find just that at Build-A-Bear. Build-A-Bear has always been really special to our family. 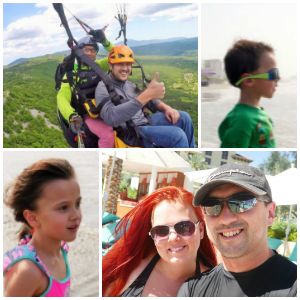 I use the in-store experience as a great way for my kids to express their own individuality and feel like they are in charge, and independent. They love being able to completely responsible for a project from start to finish, and Build-A-Bear is the ultimate fun project. I know my daughter will love being able to head into Build-A-Bear soon and add Risa and Viv to her collection so she can jam out with all the Honey Girls. Each Honey Girls character has her own original song along with the group’s debut song titled “Everything is Better.” Listen in for a sneak preview starting June 15! If you are looking for a gift or something that will inspire your child to seek out their strengths and talents you will want to head over to Build-A-Bear this July and grab your own Honey Girl or even snag all three! The three Honey Girls friends will be available for purchase online starting July 8 at BuildABear.com/Honey-Girls for $28 (outfits and accessories sold separately) and in-store at Build-A-Bear Workshops starting July 10. You can learn more about the Honey Girls by interacting with them and following their journey as a band through their exclusive, interactive Honey Girls Studio App. The app will be available for download in iTunes and Google Play in July. 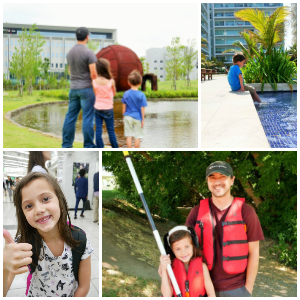 So what are you waiting for head over here to get your kids started in on the Honey Girl FUN!